Go with simple good looks and excellent versatility with the Susan Traditional Canvas Tote. It's made using 10 oz. 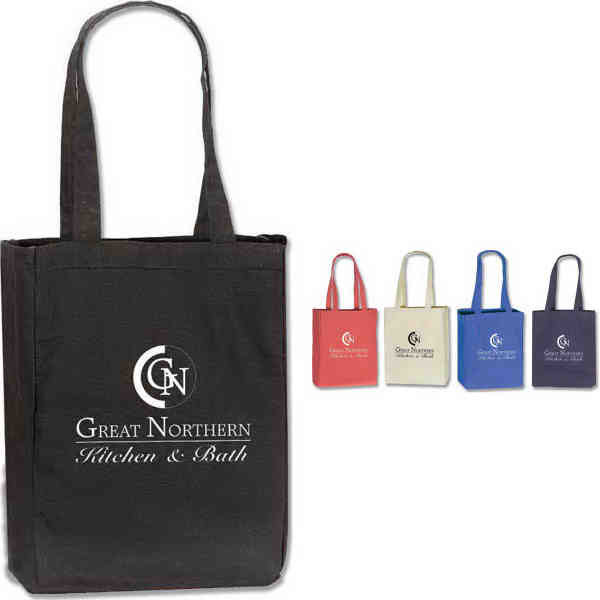 100% cotton canvas and features 24" handles. It has a gusseted bottom and sides and is available in your choice of four colors to suit your event, recipient or advertising aesthetic. Add a custom offset imprint of your organization's name, logo and advertising message and create a promo that you can put to work for your brand at tradeshows and beyond! Size: 10 " x 14 " x 5 "
Price Includes: charge will be added to any order requiring a PMS match unless otherwise specified.